Pig farming (also called piggery) is just another part of farming in Nigeria that’s making entrepreneurs and intelligent investors enormous cash on day-to-day basis. In the event that you are into pig farming, then be rest assured that a lack of cash would certainly be a thing of the past. According to the commissioner for agriculture in Lagos state Nigeria, Pig farming in Nigeria alone has got the potential of creating about $2 billion (N300 billion) per annum and creating a means of livelihood to thousands of unemployed youths. Pig farming entails the raising of pigs for commercial functions including meat (pork) and occasionally for their skin. It is a known fact that pigs are highly reproductive creatures. Hence, making pig farming a very lucrative venture to invest. An individual pig gives birth at a time to just as much as 15 piglets. Moreover, considering that one adult pig can sell for as much as ₦60,000 you will definitely be smiling to the bank at the endof every farming season. Provided that you are looking forward to starting pig farming in Nigeria, then you are in for a treat. We have already discussed snail farming, fish farming and poultry farming in Nigeria. We have here a set of suggestions for newbies to attentively consider before setting up their pig farm. Are you in need of a pig farming business plan? Then read along. Let’s take a look at some fundamental questions that must be answered before deciding to invest your money and your time into starting your pig farm in Nigeria. Pen: This is where the pigs live, a place where you breed them is called pen. Piglet: These are young pigs between the ages of 1 day to about 8 weeks. These pigs are still sucking from their mother. Weaners: These are pigs between the ages of 8 weeks (2 months) and about 16 weeks (4 months) These are pigs that has just been weaned or separated from their monthers. Newborn piglets will understand their own names by the time they’re 2 weeks old, and learn how to run with their moms’ voices. Believe that pigs are lumbering and slow? They’re not at all as it happens! They run as fast as 11 miles per hour? If you implied that someone was ‘sweating in the manner of a pig’, subsequently you’d be incorrect. Pigs don’t have sweat glands and one of the most effective means to allow them to cool down will be to wallow in all that glorious mud. The squeal of a pig is as loud as 115 decibels – that’s 3 decibels higher than the sound of a supersonic airliner. They could be indiscriminate eaters, eating just about anything. In the year 2012, pigs ate a farmer in Oregon, America after falling in their enclosure due to a heart attack. Pigs are more intelligent than dogs. Hard to believe but true. Pigs aren’t as dirty as we like to think they are. If given adequate space, they are going to take care to not soil in the place where they eat or sleep. They like to bathe in mud or water to maintain cool, plus they really favor water. IS PIG FARMING LUCRATIVE IN NIGERIA? Prospects of pig creation — The unbeatable prolific fecundity of the pig as already been mentioned. Pigs can subsist on an extremely broad variety of feed resources including harvest residues, kitchen wastes, and agro-industrial byproducts. Pig meat is easier to dress, soft and contains outstanding healing qualities, an apparent advantage for the creation of value-added products. The droppings of pigs can also be rich in nutrients and may be used as an excellent supply of fertilizer for crop production. 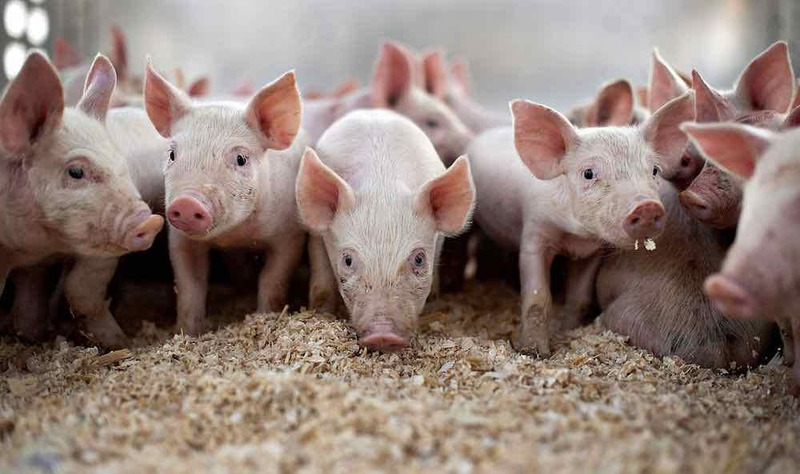 Running a pig farm is extremely inexpensive as it is possible to readily source for feed. A huge demand for pigs: selling your pigs wouldn’t be an issue. The only problem you may have might be how to meet up with demand. There are so many breed of pig to choose from including the genetically modified oned. Somes pig species include American Yorkshire, Aksai Black pied, Angeln Saddleback, Beijing Black, Bangur, Bisaro, Berkshire, wild boar, bearded pigs, and warty pigs. To ensure a healthy farm, you have to ensure that the piglets you purchase are from trustworthy sources and that the piglets have been vaccinated. Choose the large and healthy looking ones. In Nigeria, a crossbreed of local and exotic strains is overtaking our local strain. The reason being that crossbred pigs feed better, often grow quicker and are much fitter than the local ones. There are a great number of crossbreeds out there which could get you mistaken so if it is time to pick your pigs, I suggest you go with a seasoned pig breeder. Request to view their parents, ask for his or her health info /history/ records – this will give you a notion of how your investment will turn out, in case you are buying youthful pigs. It is also wise to engage the services of a veterinary doctor when purchasing your piglets. They will guide you in choosing the best available stock. Feeding is perhaps the second most important aspect of piggery. It will probably consume about 70% of the total cost of production. It’s widely understood that pigs can eat practically anything, in fact they have been called nature’s waste disposal system. There are numerous kinds of pig feed(concentrates) accessible in the marketplace which can be fed to pigs of different strains and age. The feed components consist of PKC (palm kernel cake), maize, cassava, cassava peel, cassava meal, rice shaft, spent grains , etc. Besides the specialized feed, you can even offer grass, fruits, vegetables and meat to them. But in the event you would like to raise healthy and fat pigs, it’s essential that you just give them the diet that is proper. Pigs require a high energy diet that features some protein and is low in fiber. Corn is their typical food; however, they could benefit from having a diet with protein from soybeans or cooked meat. Additionally, they grow quicker with other nutritional supplements and vitamins. Piglets have higher protein requirements. Pigs also require adequate drinking water, about two to four gallons every day. 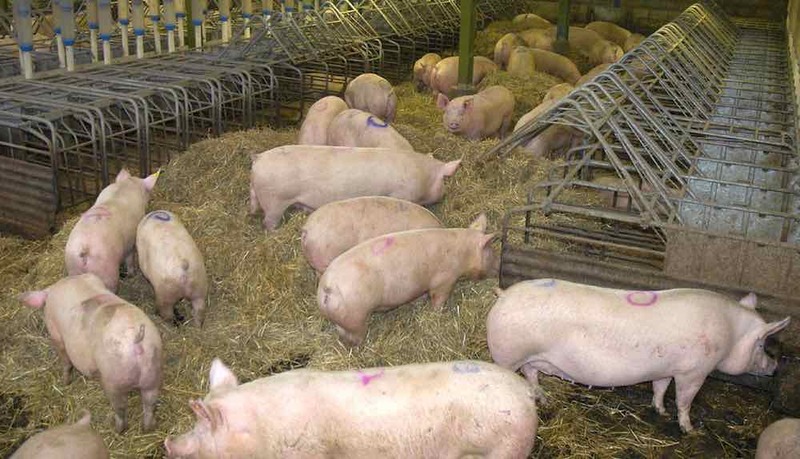 Pigs may be raised inside in barns, in coops or in individual stalls. When they have been raised outside they’d still want refuge during cold and hot weather. Therefore, the home must have considerable space for bedding and eating. Pigs need protection from excessive heat and humidity, and a dry bed. Pigs are not insensitive to temperature, particularly heat and may die from heat stress. So when placed inside, temperature needs to be well modulated to ensure maximum productivity. Best practice dictates that pigs flourish in a shaped pencil structure that will be split into four parts: playing, sleeping, eating, and defecation compartments. Pigs are considered to be inquisitive and sensible creatures, so you must make sure that the pencil is solidly built to keep them within bounds. Nonetheless, there should be enough space for them to roam around. Pigs like to lie in water or mud when the current weather becomes hot, so it’s wise to make a modest pool of water readily available for his or her place that is wallowing. Depending on how you plan to feed your pigs, a plot of land may just be alright for small scale starting but if you can acquire a large farm land (from 5 acres) that will be better so that your pig can graze in the open and retire to the coop where they’d continue feeding and playing. Don’t assume that pigs enjoy living an unhealthy environment. That will only expose them to diseases and will end up ruining your business. Adequate sanitation is essential to keep the pigs disease-free. You need to have a mechanism for easy cleaning and removal of waste. I recommend that waste should be removed on a daily basis so as to keep the floor dry and reduce bad odor. In case your pigs are up to 100, you should consider employing 4 – 5 individuals who are knowledgeable in pig farming. If you are starting on a smaller scale, you could need less amount of worker 1 – 2 workers who will be assisting in the cleaning of the pencils and also the pigs, feeding the pigs and making sure they’re free from diseases and other predators. Why pig farming in Nigeria fails. Religious opposition to pig consumption — Nigeria has a sizeable population of Muslims who make up the majority in many states of the North-West and North-East regions. This does not foster pig meat sales and a huge part of the market is already lost. Inadequate expertise — Many entrepreneurs dive into farming without having basic agriculture training. Consequently, when surprises spring up along the way, they lack the necessary technical know how to navigate their way out of the situation. Marketing — At present, the main marketing channels are few and there are not so many dedicated pig markets. Diseases — While many disorders affect pigs, African Swine Fever (ASF) stands out as the most disastrous and it is a highly contagious viral disease of pigs characterized by widespread bleeding. Others include Mycotoxicosis, Agalactia, Navel Bleeding, Anaemia, Anthrax, Brucellosis, Rabies, Pale pig syndrome, Blue Eye Disease, and more. Consequently, every pig farmer should have a dedicated veterinary doctor that would inspect and treat their pigs from time to time. Anyone who wants to go into pig farming must be patient. It takes about 7-12 months for pigs to attain a good market size. However, profit is almost certain in pig farming. There’s nothing as good as engaging in a business that guarantees profit and Pig farming is one of such businesses. All you need to do is to feed and take care your pigs. Good luck.